Born to be full of character, without compromises, different and unique. 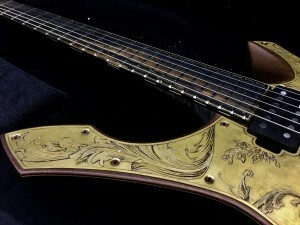 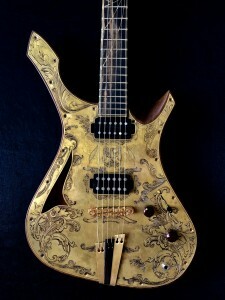 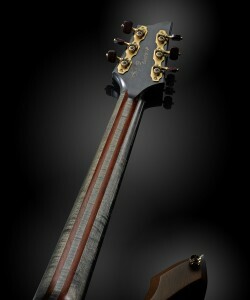 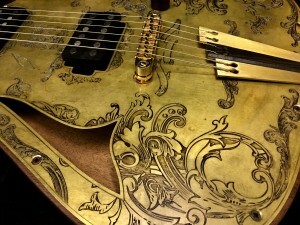 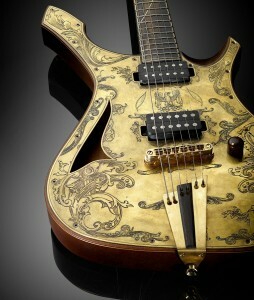 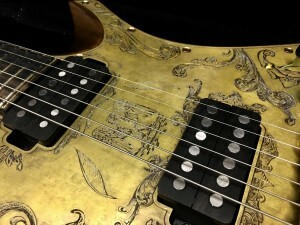 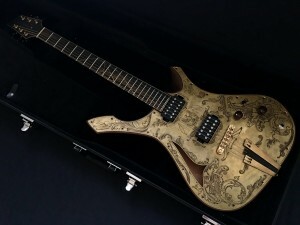 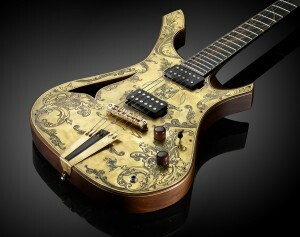 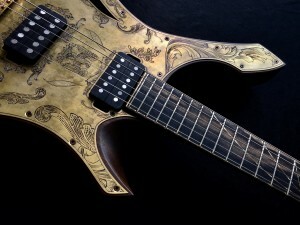 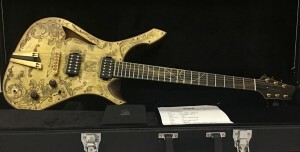 This is the nature of Der Rebell Brass top guitar. 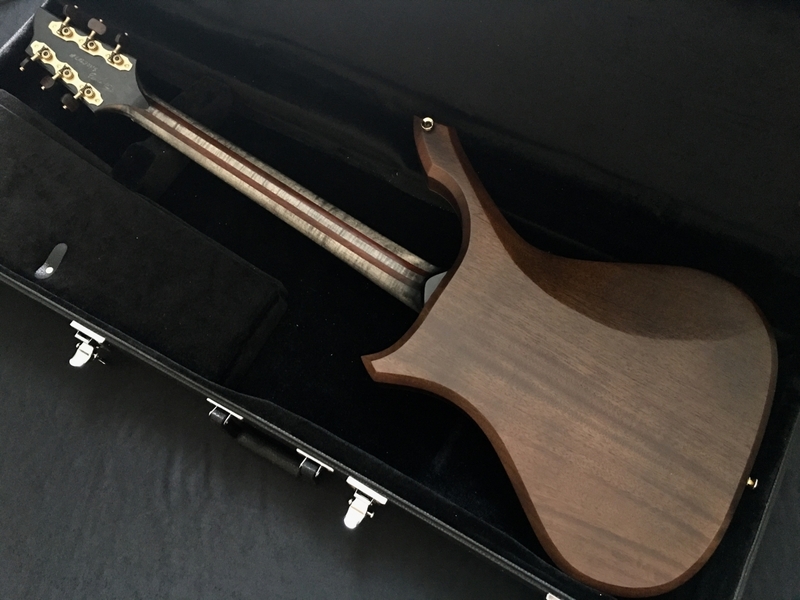 Focused on a rich, broad sound, with lots of attack and harmonic content, this guitar can range through a wide variety of sounds, but never lose its distinctive snap and projection. 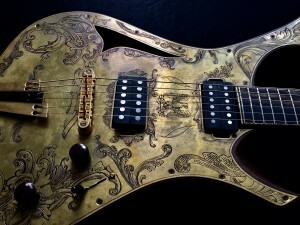 Since it is a semi-hollowbody, this guitar will have added sonic response, longer sustain and crisper notes. 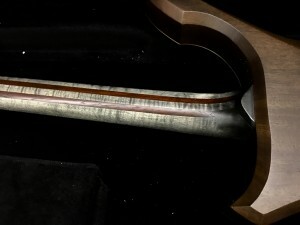 Furthermore, the Brass top will give a sharper and faster attack and prolonged sustain, giving the instrument its characteristic sound. 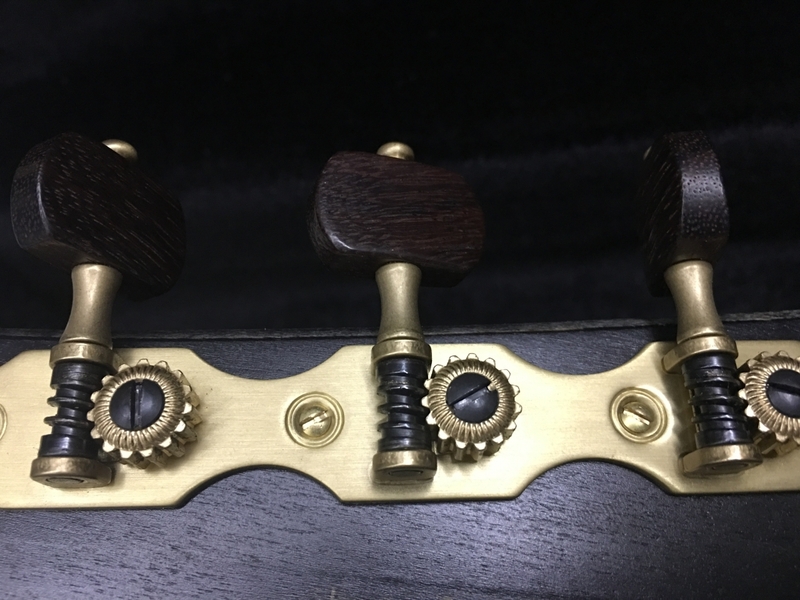 The aged, slightly finish of the brass top gives the instrument a more antique, natural look, that matches with the satin wood finish and adds class and elegance. 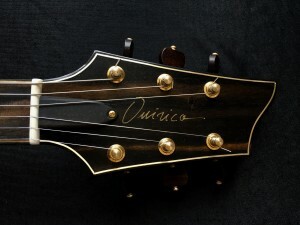 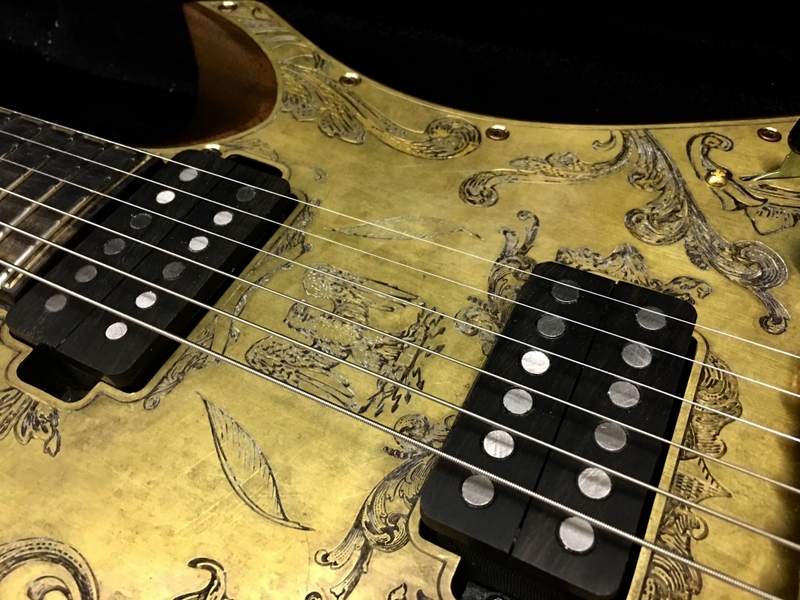 The tailpiece is handmade from a single piece of brass, for increased sound transmission and virtually no loss of transmission and/or sound dampening. 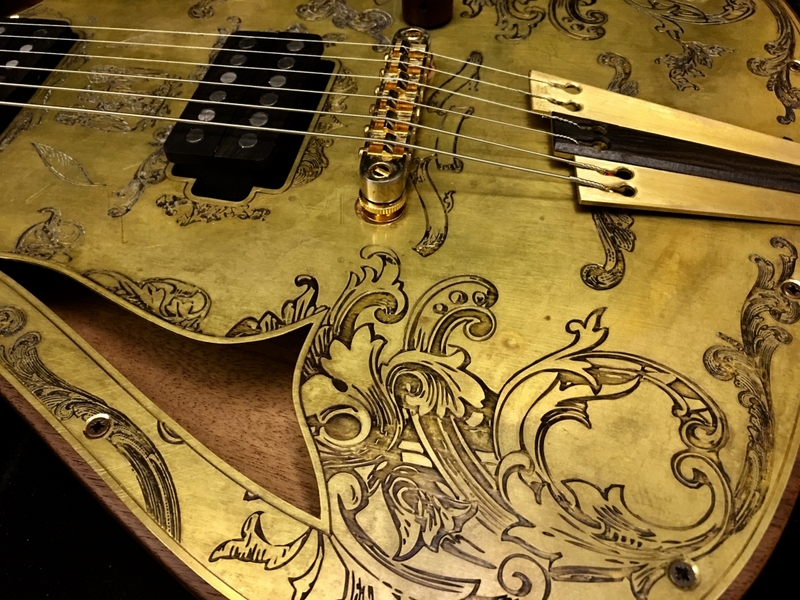 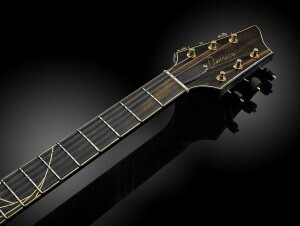 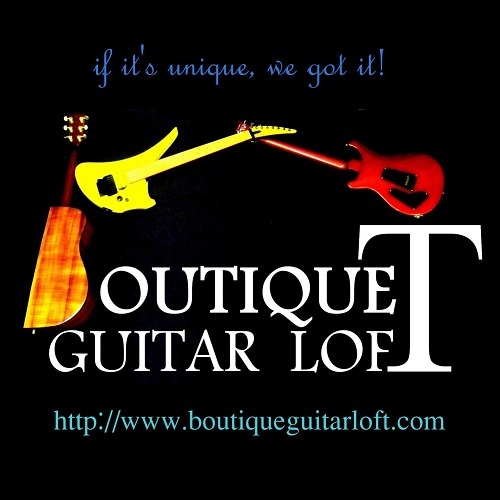 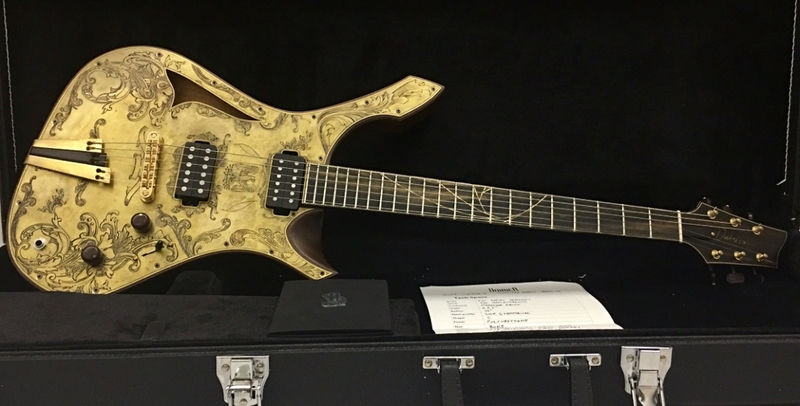 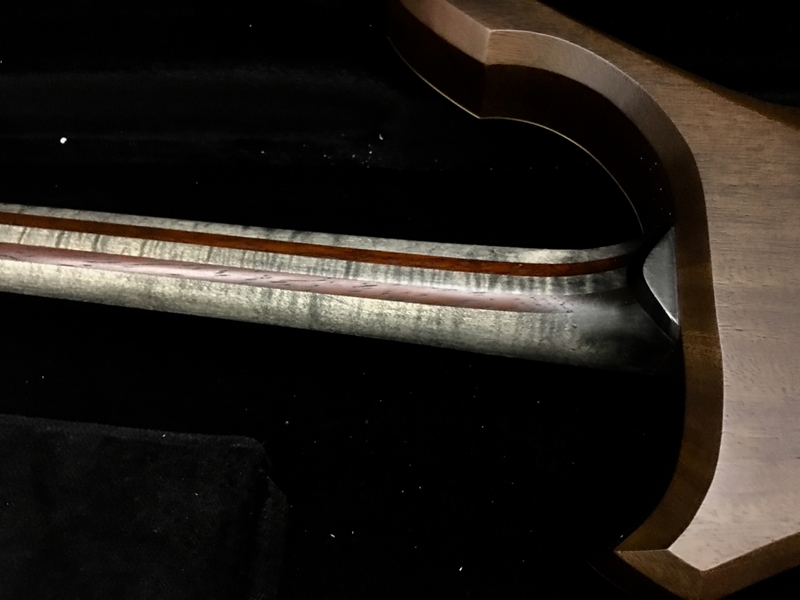 Hand inlaid brass bindings on the sides and on the fretboard are the last touch of elegance, and prolonged brass side markers on the fretboard will give you the exact position in every situation you’re playing, even on low-light stages. 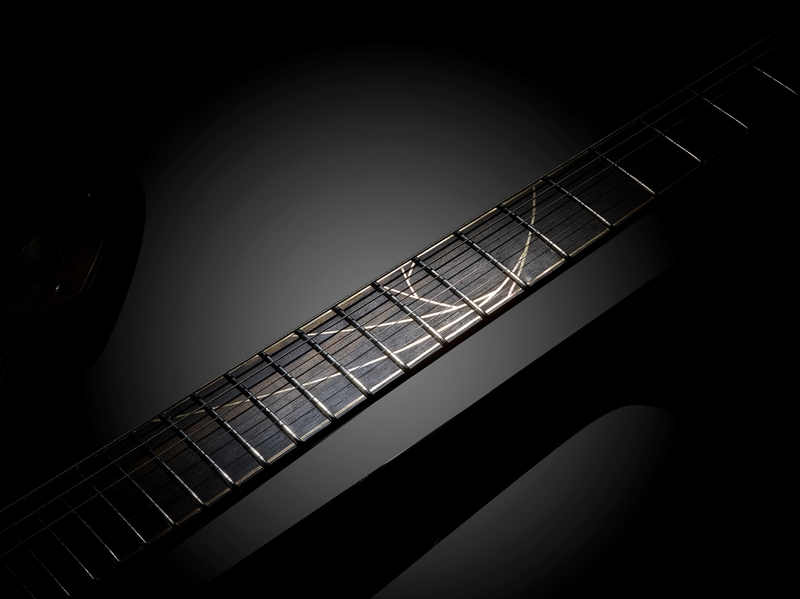 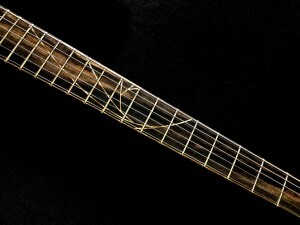 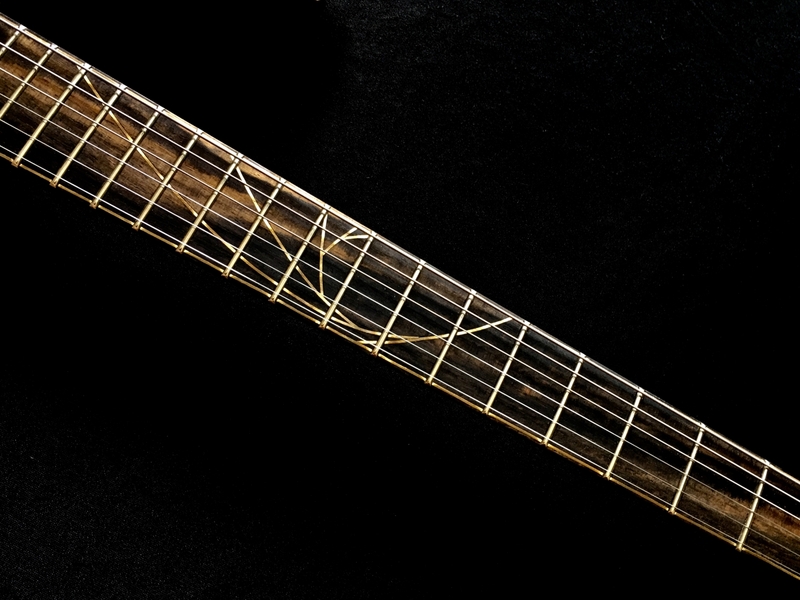 The custom made, ebony-topped handmade pickups, built by Ferrari Pickups, have been designed for this exact guitar, in order to transfer at the best the acoustic properties of the instrument. 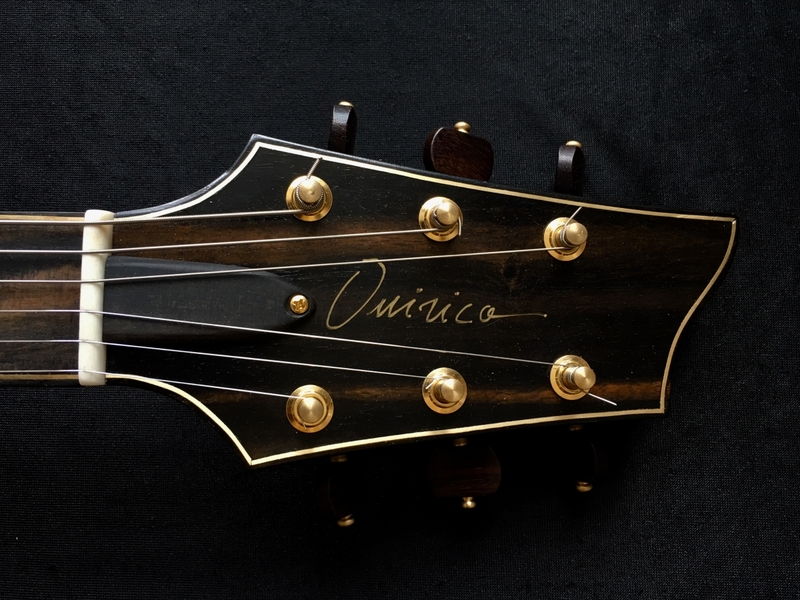 The magnets are balanced (5mm for the neck and 6mm for the bridge), to give a more even, natural and balanced sound.